The thin-wall PCR tube is uniform in wall thicknessto ensure reaction system to be heatedhomogeneously and remarkably reduces theevaporativity; The V-shape dip angle design of tubefits most brands of thermal cyclers; DNAse/RNAsefree and non pyrogens. All Ultra Flux PCR Plate have high contrast printed letters and numerals. Bar-coding available on semi-skirted and skirted plates. We bring forth for our clients Twin Tec PCR Plates. The range helps in easy & safe storage of chemical samples and ingredients used for screening tests. On the basis of requirements, our clients can choose the plates with requisite number of compartments and sizes. Our range is offered at industry leading price rates. This full-skirted 384 wells plate is fully optimized for robotic applications and allows high throughput, low volume processing. 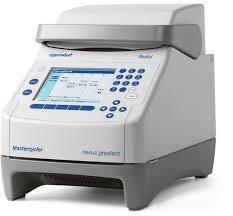 Can be used in many 384-wells block regular or RT-PCR Thermal Cycler. Reagents and plastics for use in PCR and QPCR. All ABgene reagents are fully licensed for PCR and QPCR. Our plastic consumables offer the widest range of compatibility for thermal cyclers currently available. Our focus is on manufacturing the highest quality products that offer high performance, reproducibility and maximum convenience. 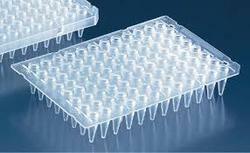 We hold expertise in supplying and trading superior quality range of Brand PCR Plates. Used to carry testing tubes, these plates are available in several sizes, designs and models at most competitive prices. In addition to this, we pack all the plates using quality packaging material to ensure safety during transit. PCR Plate has thin-walled design, which optimizes heat transfer, The reaction becomes more specific and the recovery rate is increased. - Comprehensive thermal cycler compatibility. Pcr Plates: Featuring Easy To Read, Alphanumeric Markings, Our Pcr Plates Provide Rapid, Even Heat Transfer For Consistently Reliable Amplifications. Raised Rimmed Wells Enhance The Sealing Surface And Help Eliminate Edge Effects Such As Thermal Gradients And Evaporation Rates. Fashion retail today is a challenging environment. There is competition from established retail chains and pressure to increase margins along with a need for differentiation through targeted promotions. Huge efforts go into reducing out-of-stock and optimizing Inventory-to-Sales ratio. Our organization is indulged in offering PCR Plate to our clients. These are designed and developed using advanced technology and superior quality material and are available in various sizes. Well finished and light in weight and can be customized as per specific details provided by clients. 3B Pfu DNA Polymerase from Pyrococcus furiosus, cloned in E.coli. with proofreading (3’-5’ exonuclease) activity and a reduced error rate (10-fold lower than standard Taq DNA Polymerases). 3B Pfu DNA Polymerase generates blunt-ended amplification products, enabling their cloning into blunt-ended vectors.